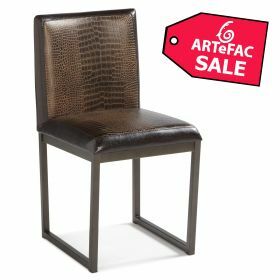 Minimum quantity for "Croco Dining Chair (SET OF 2)(ONLY 2 LEFT)" is 2. Bring a touch of the exotic to your dining room with a set of ARTeFAC Porto faux-crocodile leather dining chairs. 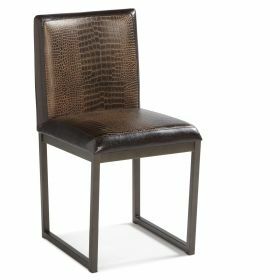 Each chair in this contemporary dining chair set features a sturdy metal base and a faux-crocodile leather seat for a fun and elegant style. The rich espresso color on the chair backs make this contemporary dining chair set a perfectly warm addition to your decor.